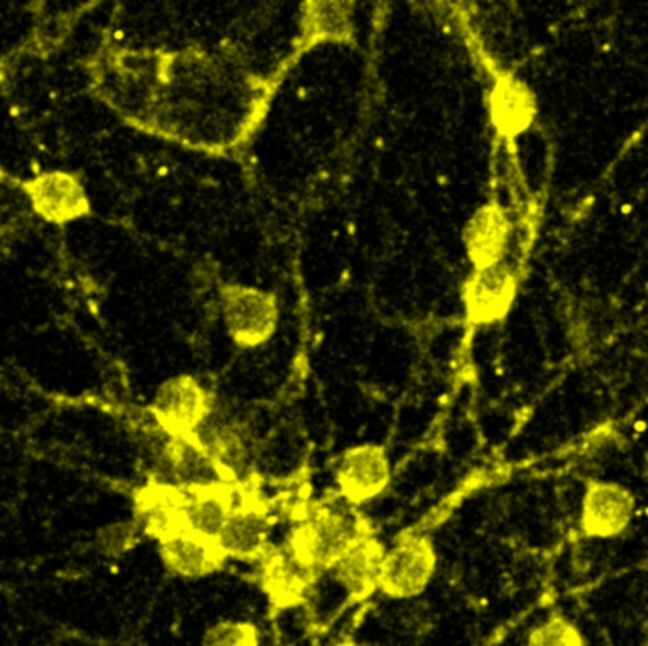 Primary neurons from rat cerebellum on Ferentis collagen hydrogel immunostained yellow for microtubule associated protein. Human corneal epithelial cell (HCEC) attachment and proliferation on collagen mimetic peptide hydrogel. Left image – 24h after plating, right image – after 5 days in vitro. The same cells did not attach to negative control samples made from PEG hydrogel. GFP-tagged cells were visualized by fluorescent microscope Zeiss AxioVert A1.